welcome to beautiful key wes﻿t florida! Key West, the southernmost location in the continental United States, offers a tropical blend of azure waters, exotic foliage, four-star restaurants, and places to stay in Key West to suit all and with a history of some notorious and notable figures. 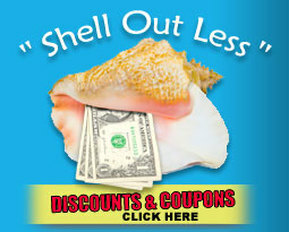 Visitors are drawn to the southern charm and Caribbean flavor of this laid-back island nation called the Conch Republic. Since its founding in 1822, Key West became the adopted homes to many from pirates to poets and political pundits. The city carries the creative torch of such former residents as Ernest Hemingway, Tennessee Williams and past presidents. Must stops for tourists include viewing the treasures from shipwrecks, discovering the haunts of their literary heroes, and marveling at the Victorian architecture and lush, colorful gardens where heads of state frequented. 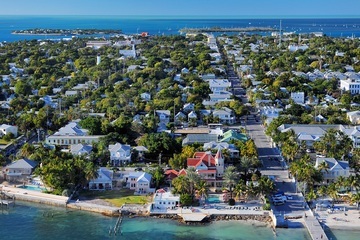 Key West also offers sun-drenched hospitality and entertainment from delicious island cuisine to delightful shopping and spectacular events including nightly sunset celebrations and sea adventures. You'll discover why President Harry Truman, relaxing in his Winter White House, once wrote: "I've a notion to move the capital to Key West and just stay." Virginia A. Panico, Executive Vice President Key West Chamber of Commerce. The Key West Chamber of Commerce awards $10,000 in CASH Prizes for local parade entries in Fantasy Fest.